650,000+ ex-offenders are released from prison every year. Most prisoners are fathers. Why not prepare these fathers for release while in prison? Between the father absence crisis in America and Fathers Behind Bars, we must do better at educating fathers and connecting them to their families. If we can give these men the skills they need to connect with their family—we can change everything. Writing for The Daily Herald, Mike Christen reveals how the Maury County Jail is helping incarcerated fathers deal with the struggles of fatherhood. Maury County Jail uses our InsideOut Dad® program, the 12-week evidence-based course designed to improve the relationships between incarcerated fathers and their families though an examination of family history, parenting skills and communication. “There is a trust there,” says instructor Brian Loging, speaking of the program sessions from jail. He describes the sessions as "a safe place where inmates can share their true thoughts and emotions compared to the rough and sometimes dangerous environment of the Maury County Jail." The inmates learn from their Fathering Handbooks how to show and handle their feelings, their children’s growth, how to handle stress, co-parenting tips, and how to be a dad—even from behind bars. 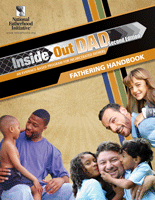 Loging has led 100 inmates through the InsideOut Dad® program from Maury County Jail. “Good choices make good men and you have to be a good man to make a good father,” Loging says. He repeats this line to the the inmates during every session. The program is well-received. It has a year-long wait list. Inmates recommend it to other inmates, Loging says. “The whole atmosphere has changed,” says Maury County Sheriff Bucky Rowland, regarding the jail. “This is just one of the ways we are trying to counter crime and repeat offenders, to break that cycle,” Rowland says of the InsideOut Dad® program. Centerstone, the organization that works with Maury County Jail, also works with inmates on reentry issues—getting inmates ready for life outside of jail. Centerstone works with the South Central Tennessee Workforce Alliance on finding employment for inmates before their release along with finding suitable housing, reports Christen. “We are helping them think dutifully about when they get out, where they are going to go and what they are going to do to help them stay out,” Loging says. Christen reports, the first inmate to have completed the course will be released on parole this coming November. “If we can get them stable and get them back into a rhythm of good choices and a good life, being part of a good family, then we are able to pull them in and say ‘now you see what good choices can do and how easy it is to become a better father,’” Loging said. Centerstone plans to expand the program by bringing in community leaders and successful graduates of the course to lead classes, Scott says. 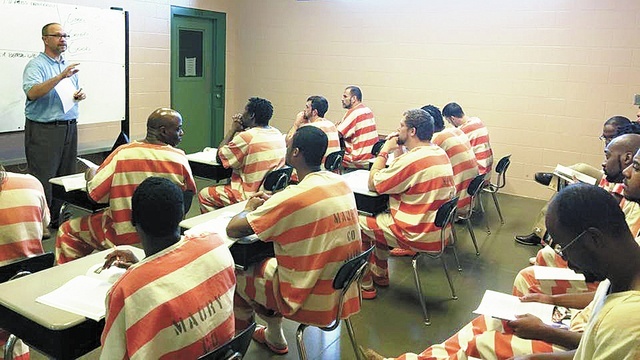 We couldn't be more excited about the impact Maury County Jail is having on connecting fathers to families. Thank you, Centerstone. We look forward to hearing the stories of InsideOut Dad® alumni coming back to teach sessions and change more lives.